Getting into position for a bedtime story can be one of the most comforting times of the day for both children and parents. Sitting in a comfy chair with little ones perched on your lap or snuggled under blankets in bed is a relaxing wind down time for youngsters. It also has huge educational benefits. Though bedtime stories don’t have to be about bedtime, here are a few that I really like on the topic. 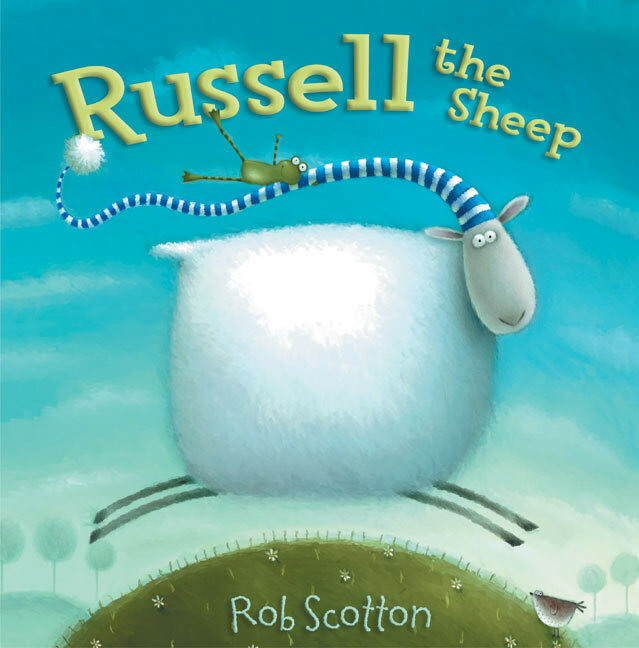 I was given Russell the Sheep by Rob Scotton as a baby shower present. It was a favorite of my cousin’s children. The theme is that Russell can’t sleep and he begins counting things. It’s not until he starts counting sheep that he drifts off to slumberland. The illustrations are done in cool blue and green tones. Mem Fox, an Australian author, is one of my favorites. Her simple and rhythmic book Time for Bed is one of my son’s favorite. It starts out, “It’s time for bed, little mouse, little mouse, darkness is falling all over the house.” This beautiful rhyming continues throughout the story. Mem Fox actually wrote this story while preparing to do a workshop with teachers on the subject of how to write with groups of children. 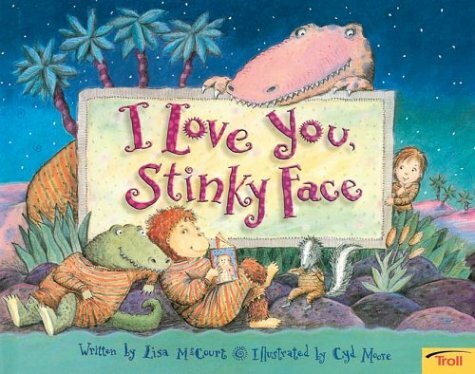 I Love You, Stinky Face by Lisa McCourt and Illustrated by Cyd Moore is a silly bedtime romp where a young child asks his mom what she would do if he wasn’t a child but rather a variety of creatures including a skunk, a green alien and a dinosaur. The mom assures her child that she would love him no matter what. Young boys would really appreciate this tale. For my husband’s first Father’s Day, I gave him Kisses for Daddy by Frances Watts and David Legge (more Australian authors/illustrators). My husband loves to read to our son as much as I do! In this story a baby bear prepares for bed, but doesn’t want to give his daddy a bedtime kiss. Daddy does all sorts of silly animal kiss temptations to persuade baby bear into a goodnight kiss. Of course, baby bear obliges by the end of the story. The illustrations are absolutely beautiful. Check out each page to find the animal being referenced imbedded cleverly into the art. It doesn’t matter if you are reading a picture book, chapter book, comic book or a magazine; what is important is that you are reading to your child every night. Not only will you be creating beautiful memories, but you will be helping to grow your child into a reader. Do you have a favorite bedtime story you remember as a child? If you have a child, niece, nephew, or grandchild, what is their favorite bedtime story? I’d love to hear about those special books in your life. I loved reading the reviews. Makes me want to head to the library to read them for myself. I don’t recall a vfavorite bedtime story from childhood – we read ’em all. But when I have kids, I know I will love reading the Llama Llama books. I love reading them to my class now, and can imagine reading them at night, especially the one with Llama Llama waking up in the middle of the night and yelling for mama. Sarah, Llama Llama Red Pajamas was featured on the Today show yesterday. How fun! Great Christmas recommendations on this blog!